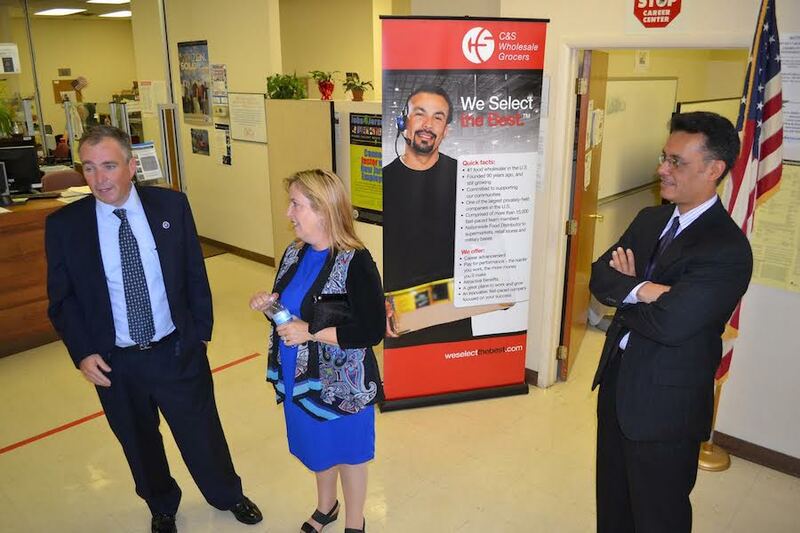 NEWTON, N.J., Sept. 26, 2014 – New Jersey Labor Commissioner Harold J. Wirths today joined his staff and local officials at the Sussex County One-Stop Career Center, where a three-week recruitment campaign is underway to link job-seekers to employers with available positions. Ocean State, which has more than 100 stores in New England and New York, is a discount chain specializing in manufacturers’ closeout and overstock merchandise. The company has been exploring three new locations in New Jersey. C&S, which was the main target of today’s recruitment, operates regional distribution centers, receiving products from food and grocery companies for shipment to supermarkets and other institutions.